The big political story of the week was a political blunder in the CNBC debate last Wednesday night by GOP nominee hopeful, and Governor of Texas, Rick Perry. He could not remember one of the three federal agencies he would like to eliminate, if he is elected president. 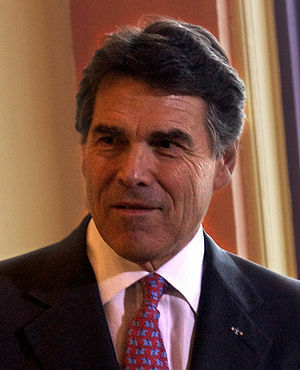 About 15 minutes later in the debate, Perry said he meant to say that the Department of Energy is the third agency he wanted to eliminate. 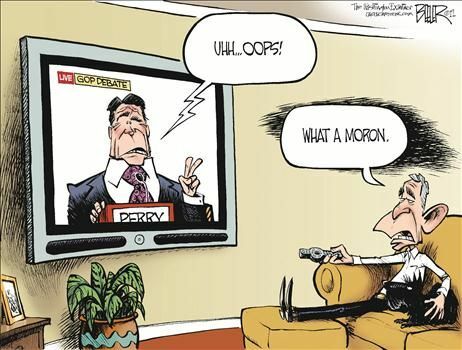 It was an embarrassing and excruciating moment for Perry, whose poor debate performances have defined his campaign. His poll numbers have declined steadily since his first debate. Critics have noted that his stamina in the two-hour-long debates seems to wane. Have you condsidered that Perry could have been faking it precisely to draw meda attention which in turn draws the attention of voters? Think about the post-debate coverage and commentary. The journalists as well the contributors and analysts all concede that every one has a similar moment. If that’s the case, then in time it will be something voters overlook. My gut tells me that the ticket will be Perry-Cain. Today or tomorrow I will do a post on this topic. In the old days their stories would have been DOA. The correct web site address is http://www.marcjan.wordpress.com. The title of the Blog is MARCJAN’S BLOG On Politics. 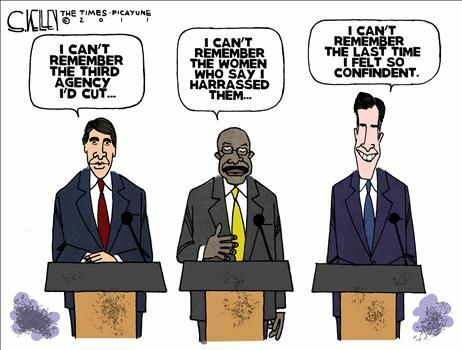 For starters, I personally do not think Mr. Perry was faking amnesia. The man is competing to be the nominee to run for the country’s highest office. Why would he consciously do anything other than shine on a stage, knowing that the world is watching? Beats me. I believe he was either under prepared or was drunk. Thanks for taking the time to read my post. I am looking forward to reading some of your posts too. God bless! I will bookmark and track your Blog. I like it.